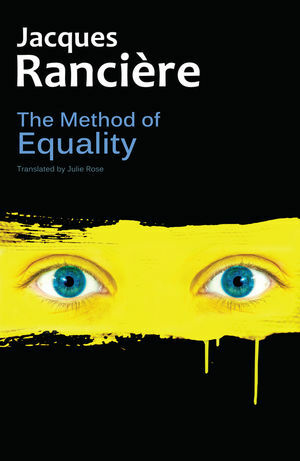 The development of Rancière’s philosophical work, from his formative years through the political and methodological break with Louis Althusser and the lessons of May 68, is documented here, as are the confrontations with other thinkers, the controversies and occasional misunderstandings. So too are the unity of his work and the distinctive style of his thinking, despite the frequent disconnect between politics and aesthetics and the subterranean movement between categories and works. Lastly one sees his view of our age, and of our age’s many different and competing realities. What we gain in the end is a rich and multi-layered portrait of a life and a body of thought dedicated to the exercise of philosophy and to the emergence of possible new worlds. THE DISPERSAL OF IMAGES; ANOTHER ART REGIME? A WORLD THAT HAS LOST ALL SENSE OF REALITY: HOW DO WE INFORM OURSELVES? "Rancière’s thought, as explored in this book, provides the field of community development not only with insightful, fundamental challenges, but also with really useful ideas for moving forward; and, crucially, with hope."